Home » Blogging » Is Quora a good blogging social? Quora is a great question and answers social site. It also has a very useful blogging section that allows you to create a blog and start blogging. 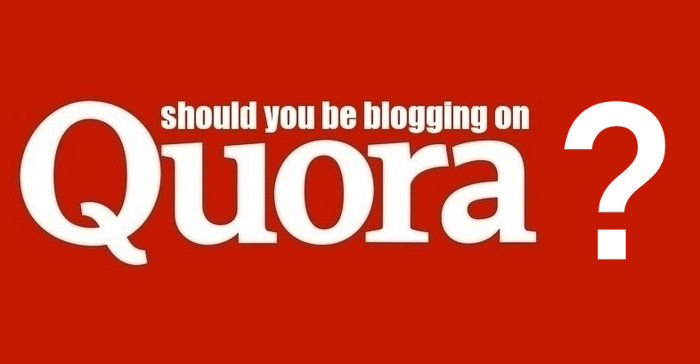 Is Quora a good blogging social, should you be blogging on Quora? There are two answers that need consideration when you ask this question because Yes you definitely should be blogging on Quora and No you should not be blogging on Quora or in fact any blogging social. Providing that your Quora blog is a promotional blog for your main event. If you are serious about blogging. If you are going to put your life and soul into your blog then there is only one way to go and that is self-hosted. You should be buying a domain name to create a brand and setting up your own self-hosted blog site. A WordPress site would be perfect. And then you should be using your Quora blog to create cut-downs and quick turn around content to bring members to your blog via click-through traffic. You have to put yourself in control of your content and that is what you do with WordPress. If you are just using Quora and you somehow fall foul to Quora’s Terms of Service then all is not lost. Your WordPress is still very much alive and kicking. There are a number of social sites that let you blog and they all offer value to the user. The question you really need to consider is, “my content, is it safe on these sites?” and unfortunately the question is no. When you create content on a blogging social like Niume (no longer with us) and Steemit and in fact Quora you are not in control of what you produce. You are governed by a set of rules of what you can and can’t do that you did not set. You can spend a long time creating and find that a moderator on the site for some reason doesn’t like what you create. And you then find it is removed or worse still you find your account locked and suspended and all your content and hard work is potentially lost. And unfortunately, there is nothing you can really do except appeal and hope someone answers. So if you are going to put effort into Quora or any blogging social then think long and hard before you do. blogging socials should be set up and used to drive traffic to your main blog in the same way that my Steemit and my Quora drives click-through traffic right here to Infobunny. 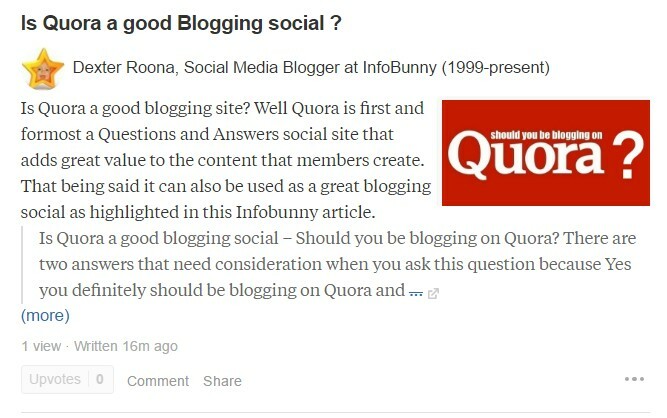 So for Infobunny, yes Quora is a great blogging social. The question now is how do you SEO your Quora blogs?. 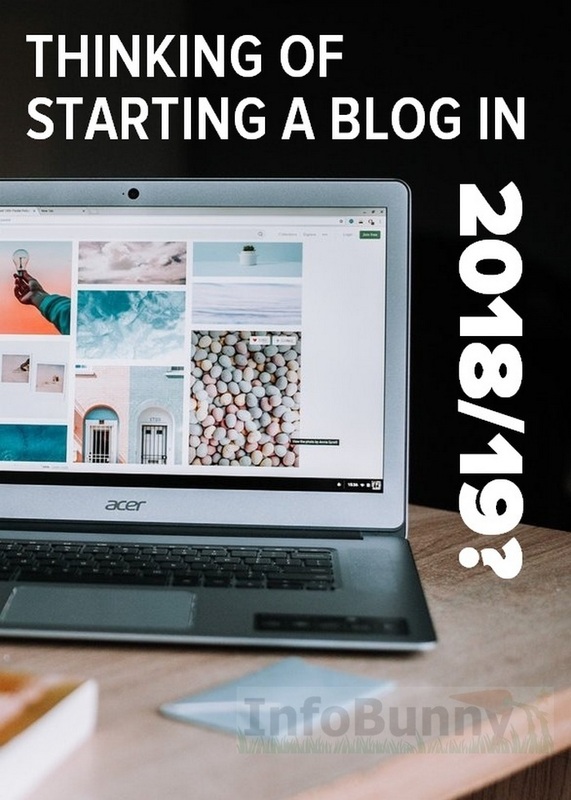 If you would like to create your own blog then we can help. Is Quora a good blogging social, should you be blogging on Quora? There are two answers that need consideration when you ask this question because Yes you .. Thank you again, DexterRoona. I had actually never heard of this site, but, now I will look at it, just for curiosity’s sake. Honestly, with the thoughts of them being able to lock my account like that, it doesn’t hold much promise for me. I appreciate you finding and learning about these sites and then passing it on. It’s really about having all your eggs in your own basket. They are in danger of getting broken on sites you don’t own. 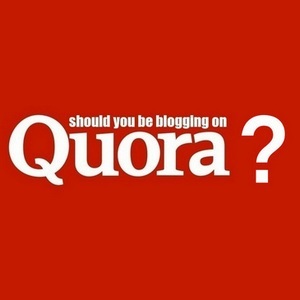 Dexter Roona recently posted…Is Quora a good blogging social?